The Lookout is a 3-bedroom south-facing luxury house with stunning sea and island views that sleeps 6, set in three acres of meadow and hillside. It is 2.5 miles from the picturesque sailing resort of Schull village. The property benefits from Broadband Internet Access, WiFi and SKY TV (including Sky Sports). The Lookout is a light, warm and spacious house with unique architectural features and complete privacy. There is a games room/garage with table tennis table and snooker table and there are three distinct patio areas.There is a separate snug/living room/playroom distinct from the large open plan living area. 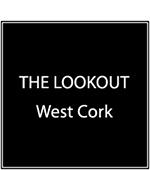 Please explore our site to discover all that The Lookout has to offer.